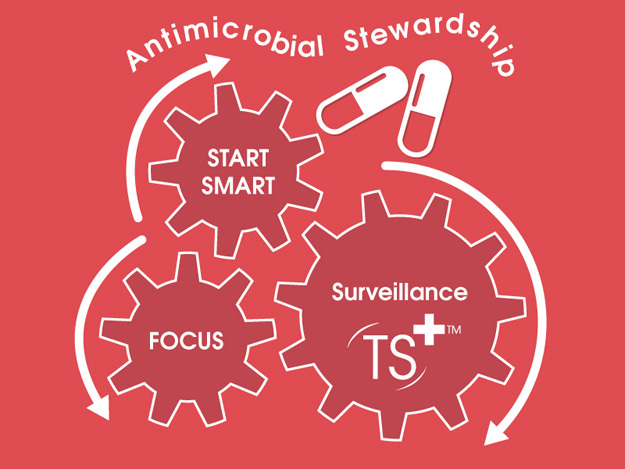 Start Smart is the term used to describe the initial prescribing of antibiotics and is a part of the ‘Start Smart then Focus’ campaign to reduce antibiotic resistance. Starting antibiotics only if there is clinical evidence of a bacterial infection and ensuring the antibiotic prescribed meets with local prescribing policies or drug formularies for the infection being treated. Ensuring the patient has a septic screen to include blood cultures and any relevant swabs from wounds, a urine sample a sample of sputum etc. before starting antibiotics. The indication or reason for the antibiotic should be recorded and the drug name, dose, frequency and route detailed on the prescription. Ensure antibiotics are given promptly once prescribed (Within 1 hour for severe sepsis). Medical Audits Start Smart care bundle audit tool provides key data and in-depth analysis of patterns and trends – in real time without the need to duplicate data entry – freeing up Pharmacists to concentrate on the analysis rather than the data entry and report writing. Medical Audits Start Smart then focus care bundle audit tool provides helps target education of Healthcare workers in best practice relating to antibiotic use and can be a key component in programmes to help reduce risks of Clostridium Difficle by implementing Antimicrobial care bundles and antimicrobial stewardship programmes. Focus is the term used to describe the re-assessment of the patient and antibiotic prescribed once results of tests and investigations are available. It is a part of the ‘Start Smart then Focus’ campaign to reduce antimicrobial resistance. The need for the antibiotic should be reviewed within 48 hours of starting antibiotics. The clinical diagnosis including laboratory/radiology results should be reviewed. Following on from this review, one of five options below are selected and documented in the patient’s drug Cardex. Stop the antibiotic (the patient has no evidence of a bacterial infection or an alternative diagnosis is made. Change the antibiotic(s) to either a more appropriate, narrower spectrum antibiotic or an alternative based on the sensitivity pattern of the organism. Continue the current antibiotic therapy with a further review scheduled for 24 hours later. Arrange for the patient to have outpatient parenteral antibiotic therapy (OPAT). Medical Audits provide Start Smart and Focus audit tools these prospective audits and feedback sessions more than halves the paperwork and report generation requirements of these key staff ensuring they can spend the time advising rather than double entering data. 	Medical Audit’s Antibiotic Prescribing auditing tool removes the need for double data entry and report preparation increasing the clinical time of Antimicrobial Pharmacists and increasing the time available to audit. These antibiotic stewardship care bundles enable more effective utilisation of these very scarce resources. Using Medical Audits Mobile Auditing systems to measure, monitor and manage your antimicrobial stewardship programmes can save time and create huge efficiencies as well as helping you provide safer patient care. 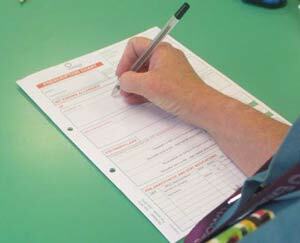 Antimicrobial Pharmacists play a key role in the monitoring and in the measurement of antibiotic prescribing practice. Auditing of prescribing practice is essential to highlight areas needing improvements and to provide evidence of compliance for licensing and commissioning bodies.